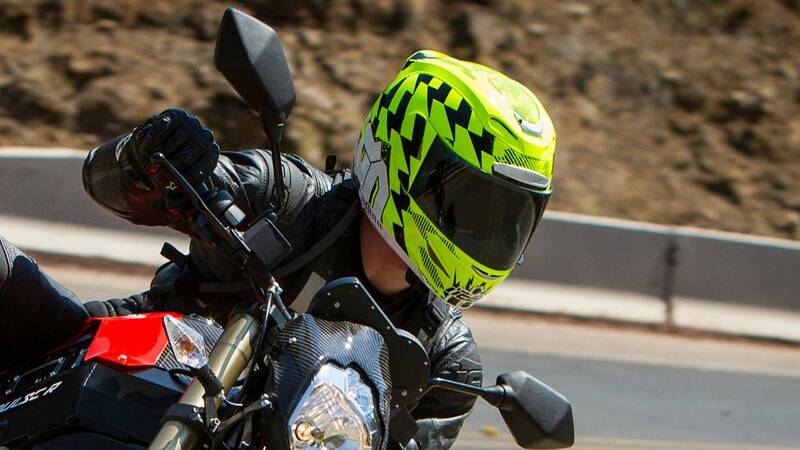 Safety is paramount when riding a motorcycle, use these 8 easy ways to make your motorcycle more visible to make sure cars see you on the street. In a world of cars, drivers are used to driving defensively and, for most, that usually means looking out for other cars and trucks on the road. 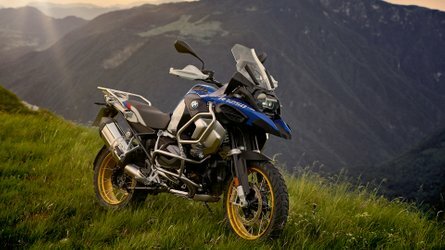 Often times, motorcycles simply are not on their radar. That is why visibility is critical when it comes to your safety. 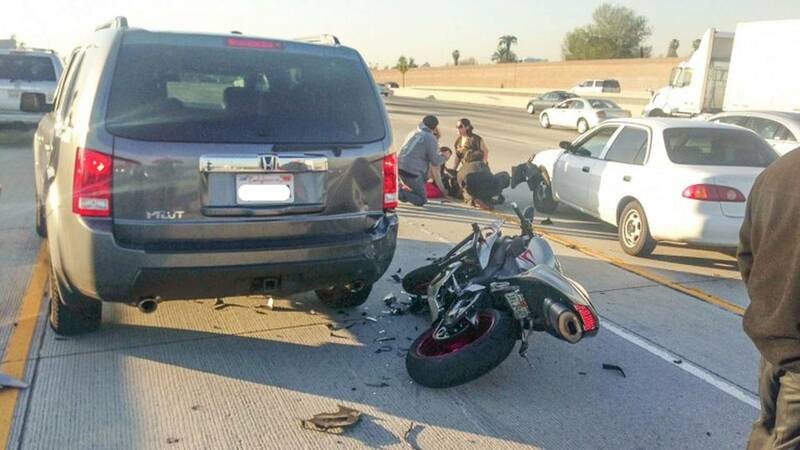 The more you and your motorcycle are able to grab the attention of automotive drivers, the more you lessen the chance of collision. Here are eight easy ways to make your motorcycle more visible. Motorcycles are already at a disadvantage on the road because they are far smaller and can accelerate and decelerate far faster than car drivers are accustomed to. This makes them both harder to see and harder to gauge the distance from. 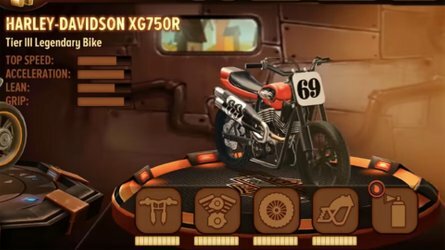 Darkly colored motorcycles only exacerbate the issue, making our tiny little rocket ships that much more difficult to recognize on the road. 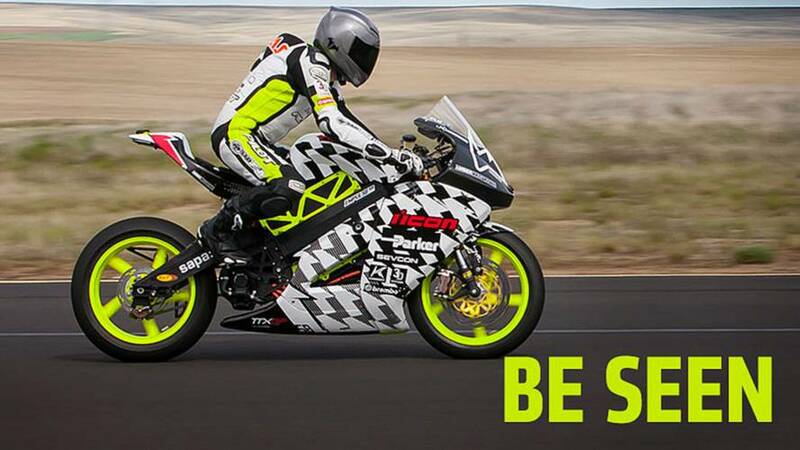 Riding a brightly colored motorcycle can exponentially increase the chance you’ll be noticed, even if only seen out of the corner a driver’s eye; a fraction of a second difference in reaction time can be the difference between life and death. 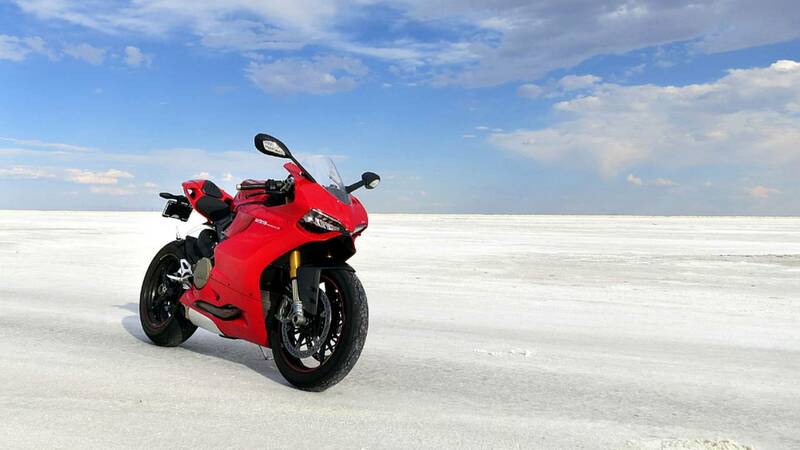 On most motorcycles the rider takes up about as much visual space as the bike itself. This means we have as big a role to play as the motorcycles we ride when it comes to being seen. We’ve learned since we were young that high visibility yellow or orange means caution or to pay attention, so wearing a high visibility jacket or helmet draws driver’s eyes instantly to them. 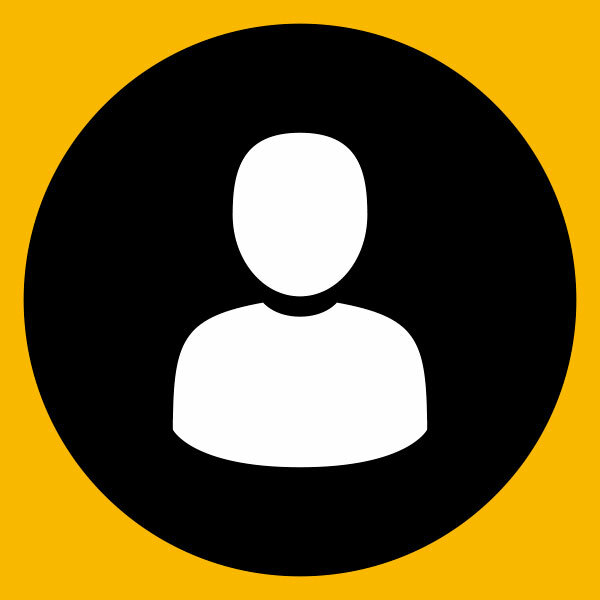 This is probably the cheapest and easiest way to make sure you’re visually distinct. It also brings the added benefit of decreasing your commitment to the high visibility lifestyle, should you decide you don’t want to be that bright all the time, as it’s easier to own multiple jackets than multiple motorcycles. 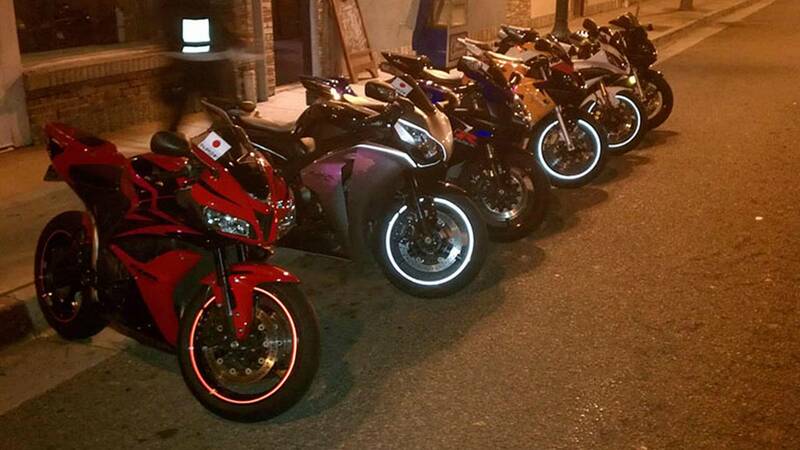 Using reflective tape increases the visual footprint of your motorcycle. We recommend putting pieces on the front of your forks and on any piece of your motorcycle that sticks out a good distance from a light source (top of a tall windscreen or the edges of your panniers). Reflective tape won’t do much for you during the daytime, but will act as independent light sources at night and make your motorcycle look like a much larger object. Bonus Points for applying it around your wheel rims, not only does reflective tape make a cool rim stripe, but wheels remain largely unobscured by bodywork or rider when the bike is side-on to a light source, such as at a 90-degree intersection at night. They’re called blind spots for a reason. 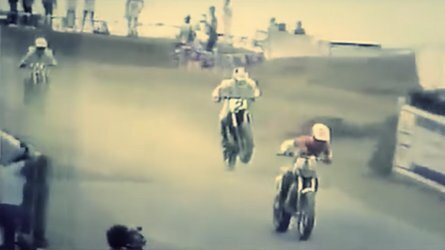 If you position your motorcycle in a place where drivers can’t see you without moving their heads and looking for you, you’re leaving your fate to their vigilance. Hanging out behind the b-pillar of a four-door sedan is not where you want to ride. Obviously we can’t avoid blind spots completely, but make your passes swiftly and then get into a lane position that a) can be seen by all cars on the road and b) gives you a little buffer should one of them still not see you. Many people don’t know that their brakes have a secondary function I like to call “Hey you behind me, make sure you’re paying attention to what’s happening up here.” Tapping your brakes rapidly turns your brake light into a giant blinker, hopefully taking the attention of the driver behind you from his burrito to the massive traffic jam he will slam into should he not drop his lunch and act quickly. Tapping your brakes also works great for tailgaters or to warn your riding buddies of a dangerous road condition. Opinions vary on this one, but I like to ride with my high beams on at pretty much all the time during the day. Most drivers won’t become upset or feel blinded by them because they won’t be seen in the contrast of nighttime visibility. Whether you annoy them a bit or they think your headlight is pointed incorrectly, they’ll notice you and that’s all that matters. 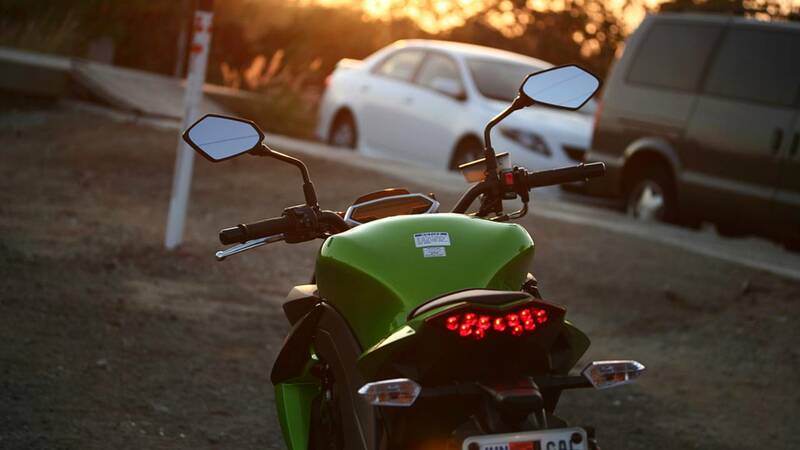 Auxiliary lights provide the same kind of benefits as reflective tape in that they add light sources to your bike. They come with the added benefit of working around the clock, and that they provide additional light for you to see with at night. 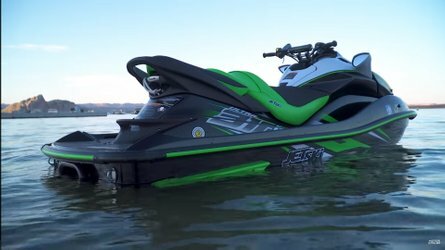 You can add them to the front and the back of your bike, and can often set them to different intensities or to strobe in the back when stopping. 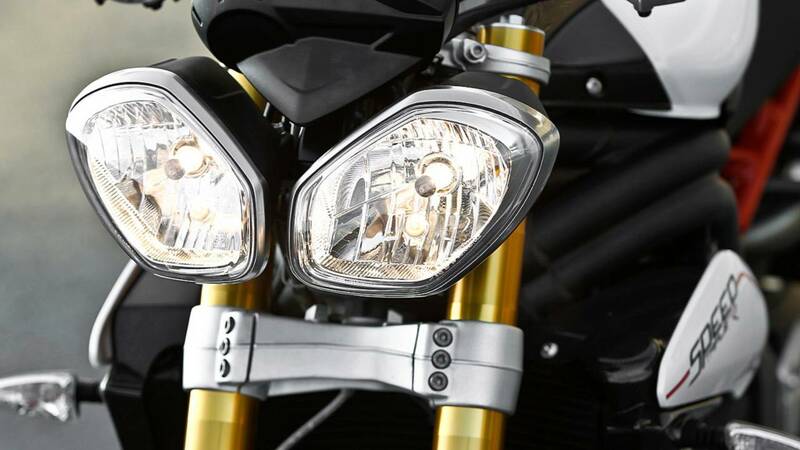 A study conducted by Honda found that using lights to create a human face-like appearance on the front of your motorcycle increased driver's ability to accurately determine a motorcycle's distance by 10 percent and its speed by 20 percent. 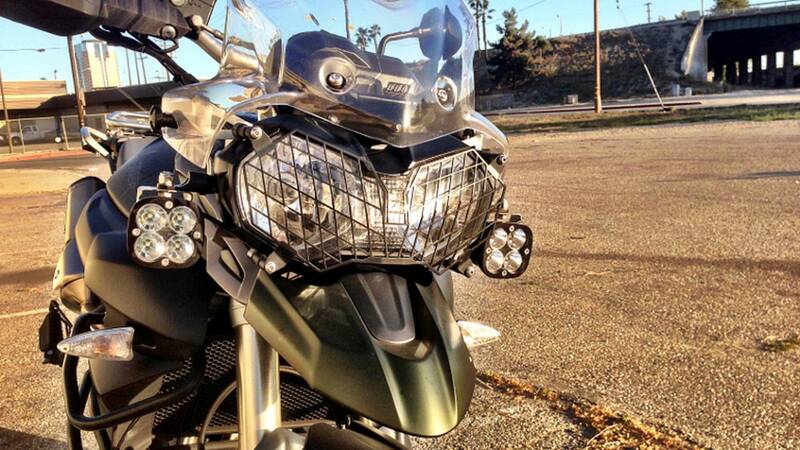 Place auxiliary light high up and spaced out to create facial proportions on your bike. While horns are most often associated with being an audible middle finger, they can actually be quite useful. A quick double tap can alert a distracted driver of your presence or that it’s time to look up from that cell phone. We find them most useful for cars looking to pull out into traffic that maybe haven’t looked in your direction yet, as they inch forward while you approach. A quick “beep, beep” often snaps their head back to you. Your horn can also be a nice tool when that guy texting and eating a burrito tries to merge into your back tire as you ride next to him. Now that you’ve read our top eight list, tell us what techniques you use to safely get noticed on the road.